I knew a girl in college whose mother treated her as her best friend. They loved each other dearly, didn’t have any secrets, didn’t fight like I did with my mom. They seemed to actually enjoy this family dynamics a lot. When we used to come over and see her mom, she would always treat us as equals and make us feel at ease in her company. Yes, I was definitely envious of what they had going there. Nothing like I had back at home. 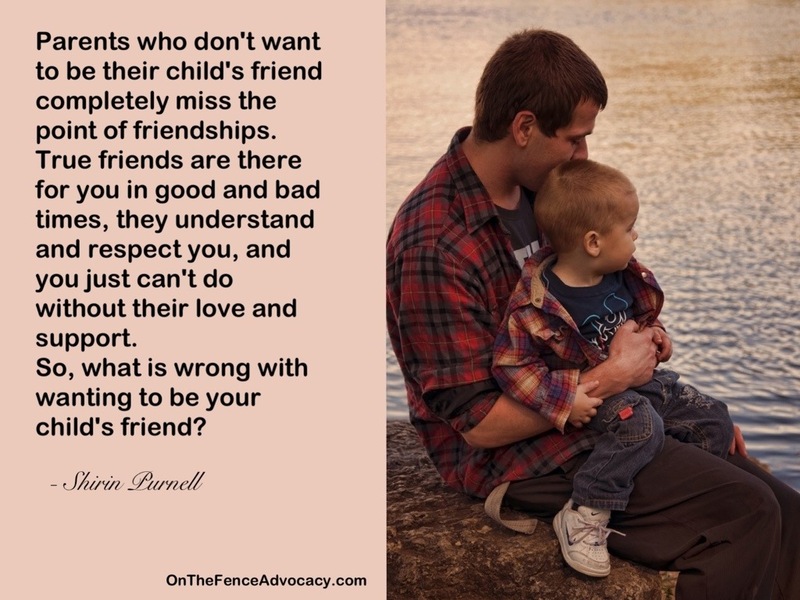 That is why I find it so hard to understand when I hear parents advice not to be friends with your kids. Why not? Why not treat them the same you treat your own friends? Do your friends walk all over you? Do they fight with you? Do they raise their voices or hands at you? 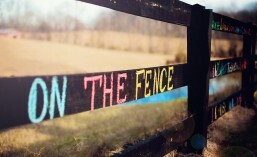 Do they keep secrets, lie to you, steal from you, and generally treat you like dirt? Well, mine don’t, so I see no reason why I should expect my kids to treat me like that only because I choose to be not just their parent, but also their friend. Yes, you heard me. I WANT to be my kids’ FRIEND. Because if I am just their parent who only sees them as subordinates expected to listen to my orders, comply with my rules, never have their opinion, always do as they are told, then they will definitely end up resenting me when they are older and realize that this is not right. And they will have every right to feel this way. Because this is exactly how I felt about my mom’s attitude towards not being friends with me. By the way, she would love to be friends now. It bothers her that we have nothing to talk about other than her grandkids. But here is the thing: we never had much to talk about even when I was a kid/teenager, because I had friends for that…and she didn’t want to be one. Sadly. ← What is a tantrum? This is exactly what I’ve been thinking about this morning – I just read an email from my aunt who has spent two weeks in Paris with my cousin – “we are such soulmates – we just talked and talked, and only stopped because we were sleeping”. 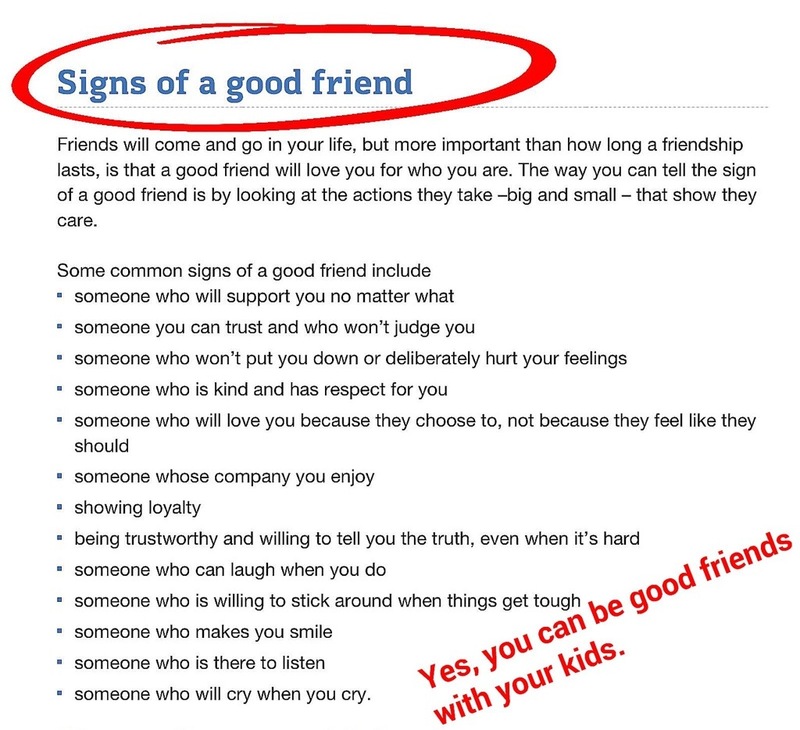 My mother always used to criticise her for trying to be friends with her children – looks like it worked! How wonderful! Thank you for saying this. Your story about your aunt is an inspiration. I hope to have this kind of relationship with my daughter when she grows up.